Getting your first big bike can be a daunting experience, especially if you are below average height. Once you’ve gained confidence on big bikes the need to get both feet flat on the floor is largely past. But if you need that reassurance, the number of standard models that have a lower seat height limits you to custom machinery and the 250-500cc category of more sporty fare. You can set the bike's preload front and rear on the lowest (softest) position. This will allow the bike to settle as low as possible, but will compromise the handling at high speed. It’s also possible to reduce the thickness of the saddle. The best way of doing this is to get a seat recovering firm to strip some of the padding's BASE. That way you still keep the supportive profile of the top of the saddle. However, that could limit the bike’s appeal when you come to sell it or you’d have to pay an upholsterer to repad the seat - expensive. Finally, you could buy a lowering kit. These consist of short metal plates or rods which replace the existing suspension linkages, lowering the seat height by up to 30mm, while keeping the standard shock and preserving shorter shock with the correct mounting points. Not altering the front forks at the same time will make your riding position seem more laid-back. But don’t change the forks straight away, it may be that you like that riding position, especially if you do most of your riding at slow-speed in traffic. 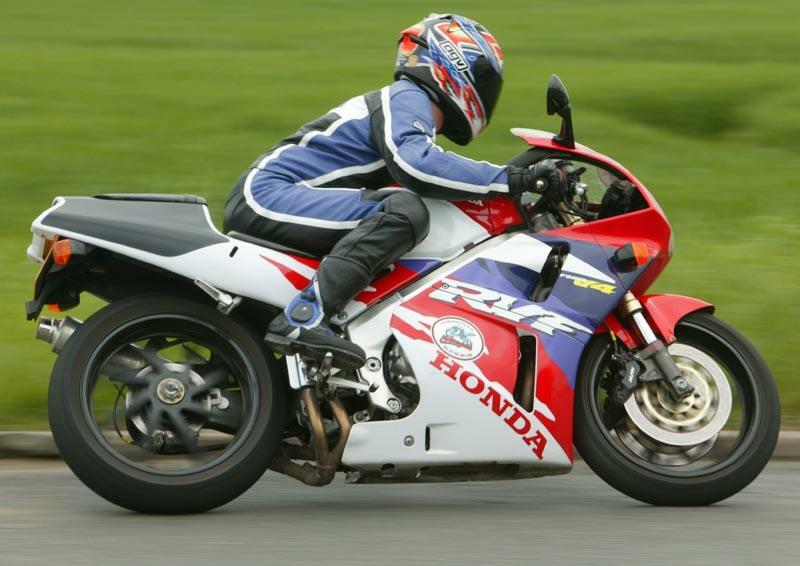 If you decide to go back to the bike’s orginal attitude and drop the forks through the yokes, do it by the same amount that the rear has reduced by, as a starting point, and don’t undo both forks at the same time as the whole front end will crash down on the top of the stanchions with the bodywork possibly getting damaged at the same time. Firms that sell suspension kits include Lust Racing, M and P, Banditmania and Demonbikes. Launched to compete with Kawasaki’s Z1, the GS1000 was the first of Suzuki’s fearsome litre bikes.